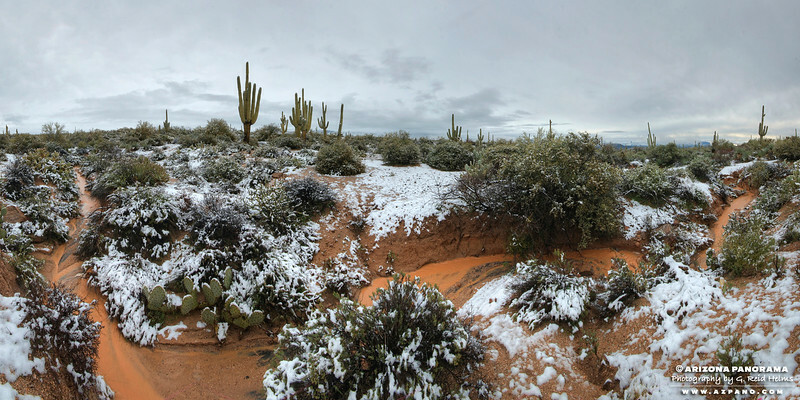 A temporary stream was fed by the rapidly melting snow in the desert below Four Peaks. I was amazed to hear the sound of water and followed it to this caramel-color stream winding it's way though the Sonoran Desert. The water was highlighted by thin threads of black silt as it wound around the desert floor.